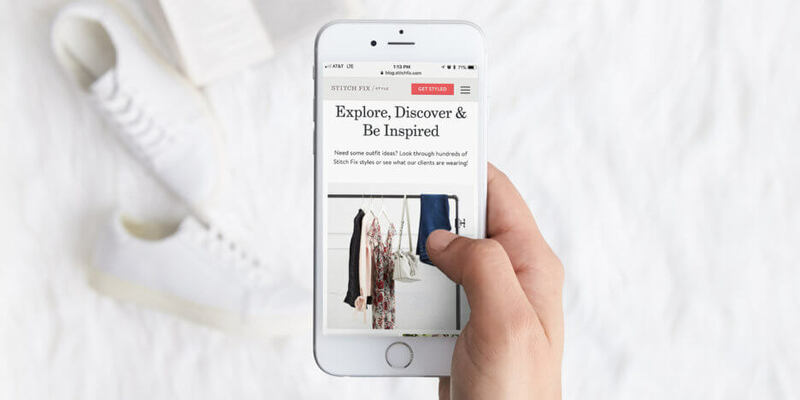 Introducing the Outfit Ideas Gallery—a visual lookbook within Stitch Fix Style that makes discovering trends, styles & this-just-in products so easy. Think of it as a searchable gallery of fashion photos for never-ending outfit inspiration straight from us. Whether you're stuck in a style rut or looking for something to request in your next Fix, make sure you bookmark that page! Here are a few fun & fashionable ways to use our Outfit Ideas gallery. Updating your Pinterest board for an upcoming Fix? Pin images you love directly from the Outfit Ideas gallery. The best part? We’ve posted exclusive Stitch Fix images you can’t find elsewhere, so there’s always plenty of looks to love. Simply stuck in a fashion rut? Search for new ways to wear or mix & match pieces you already own (ex. LBD or skinny jeans). Need office outfit recommendations? Search for “workwear” for an everyday wardrobe refresh. Want to know how to wear a fashion trend or tricky style? Or how to wear a Stitch Fix piece multiple ways? Enter something like “culottes,” “boho” or “boyfriend jeans” into the Inspiration Gallery search bar to learn how to wear it. Have some downtime? Get lost in a library of beautiful images, then read more about how to achieve a certain look. Surprise—the Inspiration Gallery is another way to discover articles! Simply search for an occasion, season, color or more, then click on a related article to read more. Have an upcoming job interview, beach vacation or summer wedding, for example? We’re here to help! Type in what event you’re planning for in the search bar to see occasion-appropriate outfit inspiration. Ready to browse for outfit ideas? Give it a look! And if you can’t find exactly what you’re looking for yet, don’t worry! We’re always updating new outfit ideas, so be sure to bookmark it and come back again. Learn more about our personal styling service & how it works.